This week we’re kicking off our summer fun learning series with 30 AWESOME sidewalk chalk games for literacy learning. Whether your kids are working on letter recognition, letter sounds, handwriting, or sight words, we’ve got you covered. Time to get outside and LEARN! When the weather is warm, I love being outside with my kids. Play is a top priority! At the same time, though, I don’t want my children to lose ground to the summer slide. So without taking play time away from them, I try to find ways to incorporate little bits of brain-stimulating activity while still having fun. My girls, especially, love sidewalk chalk. So I went on the search for fun, educational sidewalk chalk games. I was amazed at how many different varieties I found. There are probably enough here to last a whole summer. Sidewalk chalk games get kids moving while working on letter learning skills. Here are our favorite activities for working on letter recognition, letter sounds, and letter writing. I wrote this fun letter sound hide & seek game for The Letters of Literacy (which also has loads more awesome ideas!) You can easily differentiate this activity for older or younger children, and it would also work well with a group of kids. Working on letter sounds becomes super fun with this simple gross motor activity involving hockey puck and sticks. Noisy Letter Jump is a fun phonics game that helps kids learn letters as well as it being great for repetition. The movement in the activity helps them retain what they are learning. 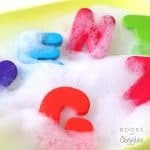 A letter sound activity that keeps kids moving with such actions as Hop on H or Laugh on L. This ABC activity is sure to keep kids laughing and hopping! Incorporating pretend play can be highly engaging for some kids (like mine!) This fun sidewalk chalk letter activity would be just right for kids who like flowers or gardening. Sidewalk chalk is not only for sidewalks, these are all fun trampoline letter games! Kids can get some great exercise while working with letters! 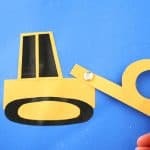 A fun way to practice letter recognition is with this chalk stencil letter practice. 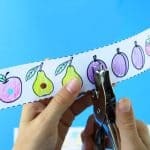 Using tools like stencils can be super fun for kids which may encourage them to do letter recognition activities even more. Lowercase b & d can be very confusing to some kids. This b&d reversal chalk game can help little ones see the difference between the two letters and remember which one is which. When you’re looking for zero prep along with a way to get kids moving, this fun active letter recognition activity is just perfect. Just grab your chalk and write some letters! Summer is fun but not the bugs that come with it. Grab some kid safe ABC bug spray (water) and put your kids on the mission to get rid of all of these ABC Bugs! Another way to get rid of those pesky ABC Bugs is with a fly swatter. This game can keep on going and going until all the bugs are caught! This game also incorporates learning color names. Don’t Step In The Water is an active game that will keep kids moving while practicing the letter order of the alphabet. Are you a fan of If You Give A Mouse A Cookie? This super cute Alphabet Cookie Game is inspired by that fun book and is a perfect way to practice ABCs. Matching letters is a fantastic way to reiterate letter recognition. 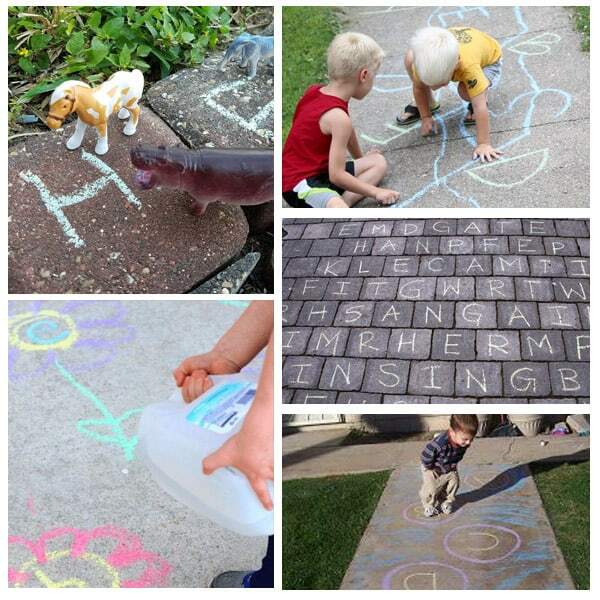 The sidewalk can be used as the canvas for creating a letter matching game easily with sidewalk chalk! Your little bunny will love working on letter recognition with this fun Bunny Alphabet Game. It even comes with a free printable! 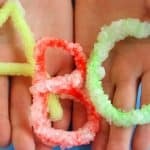 Add science to your outdoor ABC practice with this ABC Eruptions activity. If your little one loves science reactions, this activity is sure to be a hit! With a couple different ways to play, this clever ABC sidewalk chalk game is bound to keep kids entertained for some time. They will practice their ABC recognition while developing gross motor skills as well. Kids can practice shapes of letters with this chalk and rock alphabet activity. Plus this is an excellent fine motor activity! Step away from the flashcards, and get active with your sight word learning! These sight word sidewalk chalk games are all so much more engaging. We liked to mix in review words with no more than 5 or so new words at a time. 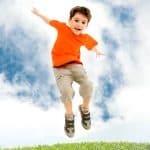 When practice is fun and multi-sensory, kids generally learn and retain more quickly compared to boring rote memorization. This sight word sidewalk game has game pieces and places on the sidewalk. It will help kids learn to read the sight words as well as matching them. Kids can practice sight words they may already know, or learn new ones, with this version of a classic: Twister With Sight Words. Combine two childhood favorite games together with sight word practice in this Sight Word Bean Bag Toss. This is a fun and active way to practice or explore new sight words. Most kids will do anything to throw a water balloon. Call out these sight words to kids and let them toss water balloons onto that word. Set up an outside word search with chalk. This is fantastic for older kids, while younger kids could search for individual letters! Two fun games in one! Besides reading, writing sight words is an important skill for kids to master. Kids can practice writing sight words with this Paint Word Tracing Game along with a chalk paint recipe. Another super fun gross motor game is hopscotch. Transform the traditional version into a Sight Word Hopscotch by adding sight words to the jumping spaces. Frogs hop and so can your kids with this Frog Hop Sight Word Game. They must stay on the lily pads or they may fall into the pond. With every step, a different word on the ladder! Much like hopscotch but in the shape of a ladder, this fun word family ladder activity will have your kids jumping! This basketball sight word game also looks like a blast for kids who have energy to burn off or need extra motivation to practice their words. 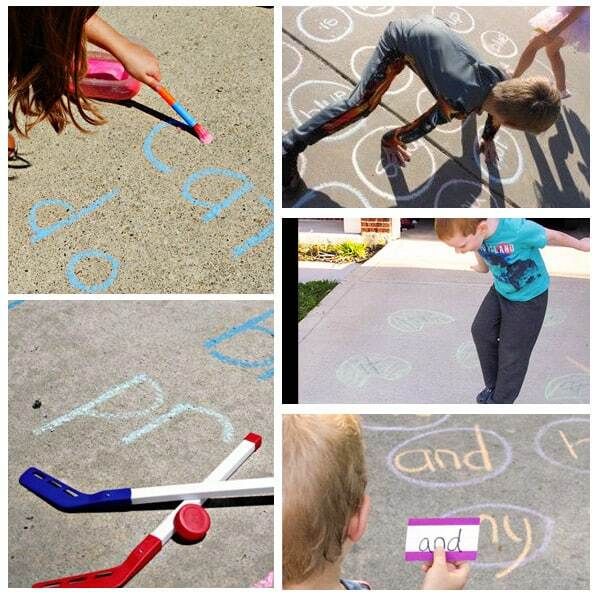 Items from the garage or yard like a garden hose can become a creative way to practice sight words with chalk. 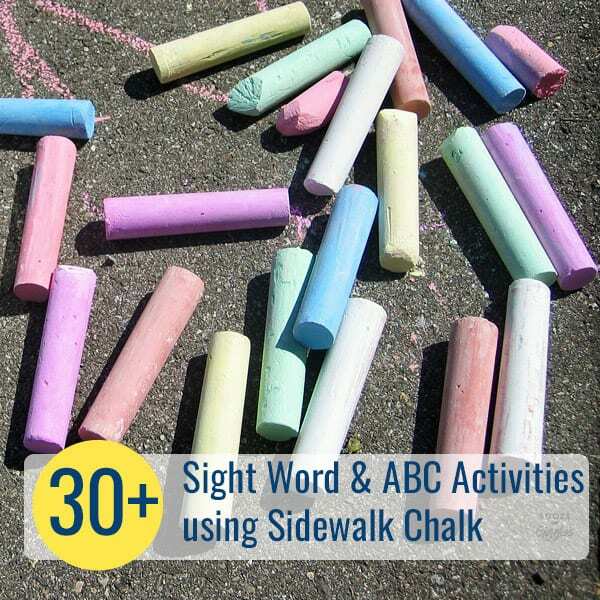 If you have a large area for your sidewalk chalk learning activity, this bike and scooter sight word game looks like something kids would beg to do again and again. Sidewalk chalk can incorporate numbers too! This number learning game looks like just as much fun as the literacy games I found. What other concepts can you reinforce outdoors? Spending the summer outside is makes for wonderful childhood memories. You don’t have to let your kids forget their ABC’s or sight words. You can incorporate them into play with these fun sidewalk chalk games and learning activities. It’s a win-win for everyone!